Home » Homepage » Good-bye, meshes! Well, with the untimely firing of Qarl Linden, following in the steps of Pastrami Linden, it seems that Philip didn’t really mean that meshes would “merely” be postponed. They seemed now to be completely gone from the drawing board and its existence at the ‘Lab relegated to merely another one of the hundreds of failed and/or incomplete projects. Worse than that, it seems that the only person at LL with a clue on how the renderer works is now Runitai Linden, who has to walk on the steps of giants. It is really with great sadness that I see this happening. The reasons for meshes being so important, as hopefully you shall understand, are twofold. One is personal and related to my own line of work. The other is more generalist and affects everybody. Five years have passed. Research funds are hitting an all-time low — so low, in fact, that paying for tier, no matter how little that expense is, becomes a serious drawback. Training students to create content and programme it is not always easy; often, external consultants are required to bring the necessary know-how back into the universities, or they are forced to outsource all the work — at premium prices. SL is still cheaper than many alternatives — but not all. Thanks to Google Warehouse and similar 3D repositories of millions and millions of meshes — of dubious quality and origin, but, well, they are free, and that’s what counts — suddenly whole new alternatives become viable. Now researchers, even with little expertise, can just tweak around with the models using SketchUp, and if they need a “virtual world” — they can just upload those meshes into Unity3D, which is one of the most serious contenders as a SL competitor. Forget Blue Mars and any other “popular” virtual world wannabe that has sprouted in the past 2-3 years. No matter what they claim to be able to do, there is one thing they will never manage to compete with: price. Google Warehouse is free. Google SketchUp is free. Unity3D is “almost free”, and even when it isn’t, you can engage the company behind it to become partners and co-developers, and, thanks to a very bright team, Unity3D has understood that the way to beat LL is to do what LL is unwilling to do: cooperate, openly, freely, and with strong engagement and commitment. Consider the contrast. LL is shy about collaborating with what they see as “customers” because… of favouritism. This makes them reluctant to be in frequent touch with their customers, except, well, announcing things from the top of their Ivory Tower. They might condescend to actually walk down to the front door — so long as it remains clear that they remain in the Tower, while the audience sits in the lawn. Pathfinder tried very hard to fight that corporate policy and engage with the educators and researchers more directly, promoting their work, networking them together — this was the reason, after all, why he was hired (he knew very well how the academic community works), and, strangely enough, was probably the reason why he was fired! Now look at what Unity3D does. They start approaching academics with cool projects and tell them, “Why don’t you use all your meshes, grab some more from the free repositories, get in touch with other researchers to get access to their own meshes? We can help. We’ll put you in touch with others doing the same thing. We will work for you. We will be glad to be part of your project and work with you together”. They’re not stupid: universities might be underfunded, but they get grants. Not all get billions of US$ of funding, but… in most Western countries, presenting projects where you can show a company as “an industry partner”, bridging the gap between academia and the business world, is often encouraged and raises the values of how much funding you can apply for. Europe, in particular, is quite eager to fund projects with industry partners. Unity3D knows that very well — they get the glory of participating in research projects, and their brand name is associated with papers, thesis, and world-wide research, enhancing their reputation as a solid partner; but they also get grant money directly funnelled into their coffers. You see what that means? LL tries to squeeze universities dry of their meagre funding, and remain aloft and inaccessible because of their “no favouritism” policy; Unity3D are active partners which draw funding together for common projects — they become part of the solution, not part of the problem (the problem here being funding, of course). And, of course, they have the ultimate argument: “Use your meshes. Use the free meshes. Use them, reuse them.” In SL it means doing it all from scratch. So there is the alternative… for some research institutions, they have already spent too much time (and money!) 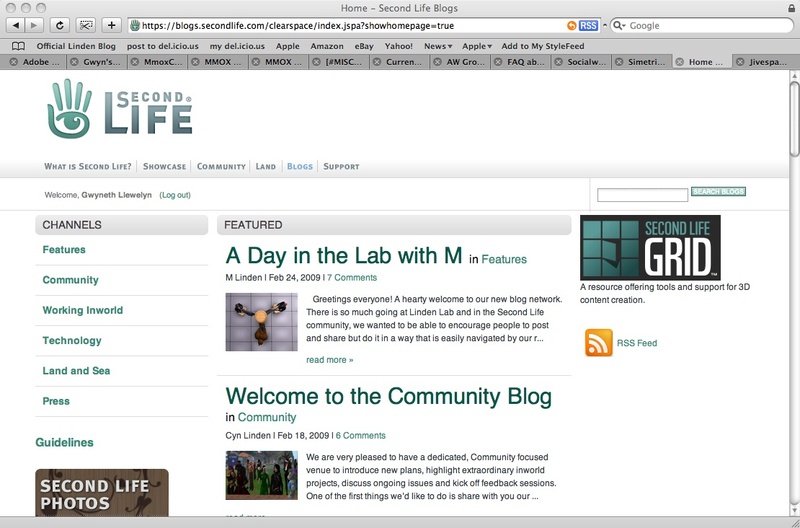 developing for Second Life. If there’s something academics hate, is to explain their funding partners that technology is constantly changing, so they have to waste more and more money just to move to the “next big thing”. In those case, universities and research institutes (yes, even the ones from companies like IBM!) just move everything over to OpenSim. It’s the same technology. Sure, the service is not great, but the extra goodies (more on that on a forthcoming article!) more than compensate for the lack of stability. And, of course, it’s free. Well. Almost free. You can always get a partner, like ReactionGrid, which are, in turn, partnering with IBM, Intel, Microsoft… and dozens of universities… and hundreds of K12 institutions. Yes, you got that right. By completely ignoring LL’s paranoid fear of children, they are actually able to engage a larger range of customers/partners, namely, the ones providing services to high schools… for them, SL never was a choice. You might notice that OpenSim doesn’t have meshes, either, so, what’s the point? Think again. OpenSim is actually a more “neutral” server technology to allow hosting of different types of virtual worlds (although it’s true it started as a “Second Life clone”). For a long time it has been supporting realXtend, a separately-developed virtual world technology which has been around since 2008, and its first releases were about showing cool highly-detailed avatars and full mesh support. A new viewer, Naali, currently in its early stages of development, changes the whole approach — and it forges even closer ties with the OpenSim community. In fact, some OpenSim developers have for long delayed meshes because it was unclear how Linden Lab would support them. When it seemed that Qarl, Pastrami and the other LL devs were favouring COLLADA, this was an encouragement to get mesh support built-in into OpenSim. With the recent announcement that meshes would need “more careful thinking”, and the firing of the whole team that was developing them, I’m sure that this will mean a drastic change for the OpenSim developers. They won’t wait for LL any longer, since it’s pointless. They’ll get mesh support working in no time, and a viewer — be it Naali or any other — to fully support them. And then I’m sure they’ll get in touch with people like the Imprudence team, who have made it quite clear that their efforts would be to make a viewer more OpenSim-friendly, to incorporate mesh support on that viewer. Who knows… Qarl might even help them out, although obviously not by using the code he developed for LL, but starting the work from scratch, to prevent any legal issues. In the short term — until Christmas or so — what this means is that I’m quite sure that OpenSim will start to support meshes more and more. They have good, strong incentives to do so: getting all the universities that are dropping SL as fast as they can, and preventing them to rush towards Unity3D. Companies like ReactionGrid have precisely the same attitude as Unity3D: they want to be part of the solution, not of the problem — they become research partners if that helps universities to make the transition, contribute code and help towards common projects, and supports them as best as they can. In the academic market, this is the kind of attitude that universities look forward to. How can Linden Lab prevent universities from abandoning Second Life once and forever? First and foremost, drop the Ivory Tower stance. Become partners. Forget about “favouritism” — that makes only sense on MMORPGs, and SL is no MMORPG. This means assigning Linden employees to become co-developers with universities on their own projects. It means helping them to do their funding requests and contributing expertise — and free tier! — to them. In return, they’ll be part of the grant application and get some money that way, too. This is how collaboration between academia and industry works. And, of course, it means giving them what they need: meshes and free tier. If universities can’t get that from Linden Lab, they most assuredly can get it from Unity3D — and, more and more, from the many OpenSim providers. Personally, of course, I couldn’t care less if my own clients prefer OpenSim to Second Life — I see it as the same technology, just from different providers. Each has its advantages and disadvantages. SL has more features and is way, way more stable (no matter how much OpenSim has improved, it’s still eons away from LL’s stability). It also has round-the-clock support. Just last week I managed to crash three sims on two OpenSim grids (I won’t name the providers to spare them the shame) and these two sims were down… for a whole week. What did I do? Just rezz my hair 🙂 It’s not a big problem if a sim goes down if a sim crashes because you’re rezzing hair; but it’s certainly a problem if the grid operator never noticed it after a week. So if you need high reliability, and no matter how ironic that sounds, you need to go with LL. OpenSim, by contrast, is way cheaper — from zero (if you have cheap labour, which is often the case with universities) to small monthly fees (because a co-located server with a quad-core CPU and 4 GB of RAM costs around US$50-100/month these days, and that is enough to host 20-50 OpenSim regions and serving a million prims — even bandwidth costs can be minimised, since for some unexplainable reason OpenSim can serve exactly the same content at as low as one tenth of the bandwidth required by SL — I wish I knew why! ), and it adds some nice features. Hypergrid teleporting across grids is way cool. Building is a pleasure, not a nightmare. Backups are easy and work almost flawlessly all the time — both inventory and items rezzed on the sim. Granted, getting groups, voice, and an economy to work requires some expertise and development, but once it’s in place, it’s almost as good as SL — except for small caveats. So the choice, from my own perspective as a developer, is really stability vs. low cost — the client decides. I’m just stumped if the client goes with Unity3D instead, because that requires a lot of highly specialised programming which my team cannot (yet) deploy… but, who knows, with more and more universities fleeing to Unity3D, it might force us to do the same. 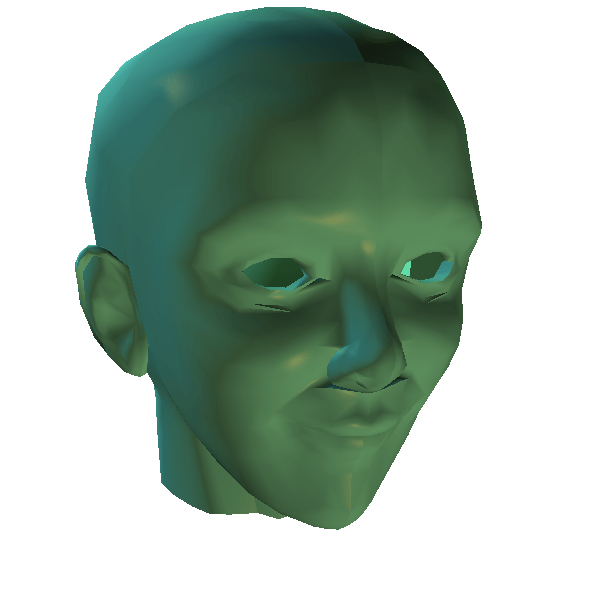 Automated Avatars in Second Life — ‘bots 2.0? Previous post What have you achieved? ?